Dogs are welcome throughout the palace building – there is an admission charge to visit the palace which is currently £6 for adults. There is also a lovely, very enjoyable scenic walk around the adjacent Linlithgow Loch for which there is no charge. Come along and learn about Dundee’s tram network, railway and marine history. Look around our constantly changing selection of cars, commercial vehicles and buses. Get up close and personal with Chitty Chitty Bang Bang and have a look at our recreation of Dundee’s first flying machine. Visit Camera Obscura and the World of Illusions where seeing is not believing! We are very much pet friendly. Our exhibits are spread out over 6 floors and most floors have plenty of space, with a lovely rooftop terrace on the 6th. Dogs are even welcome to come into the Camera Obscura Show as long as the other visitors are comfortable, we just require that they be kept on a lead during their visit. Scotland’s largest 13th century castle. 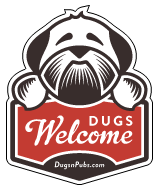 There are a total of 47 dog friendly listings in the Days Out in Scotland category. Please log in, or sign up as a member to view all listings.